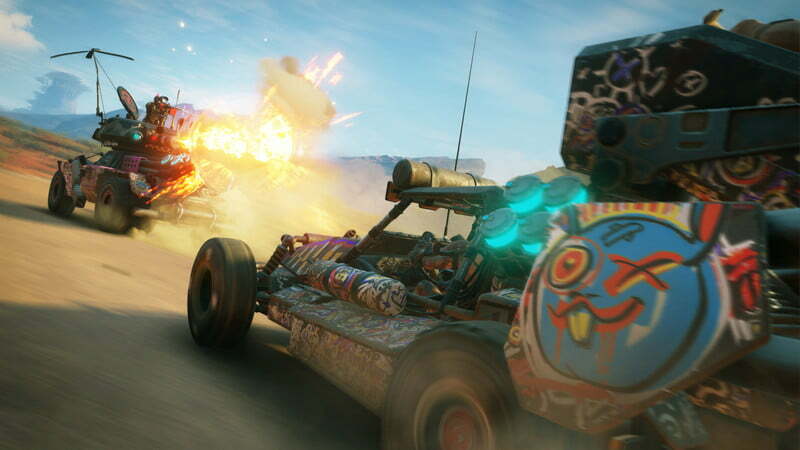 The leak and subsequent official announcement of Rage 2 came as a massive surprise to almost everyone. 2011’s Rage launched with little fanfare. Of all the wells for id Software to return to, this post-apocalyptic adventure likely doesn’t make it at the top of many wishlists. Still, id has a story to tell and an experience they feel is worth delivering. This is despite Rage 2‘s genre being saturated with similar titles. However, studio director Tim Willits promises their latest brings something fresh to the table–fun. It’s the power fantasy of you as the hero. You’re always the good guy. We have these over-the-top, meaty, situational weapons. The combat is always intense. We put you into the game. I know everyone laughs when you say, ‘We innovate and immerse you,’ but we do. First-person shooters are the most immersive you can get. And when you play an id game, it feels like an id game. And if you said, ‘Well why?’ I don’t know. It just feels like an id game. The thrill that Rage 2 offers should feel similar to that of id’s other properties (Doom, Wolfenstein, Quake). Players will know firsthand whether the developer, in conjunction with Avalanche Studios, succeeds when Rage 2 releases in 2019.